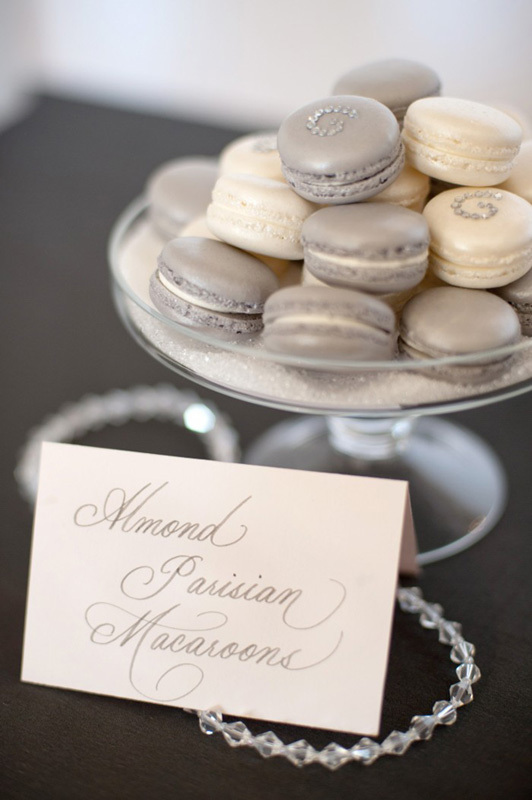 This all grey and white chic dessert bar also included pearls and lace; lace wrapped pumpkin cupcakes, macarons, malted chocolate pearls, and licorice white cotton candy! Oh my! Click here to read the entire post and view the rest of the photos. Divine! Sweet Tooth is in absolute overload now....thanks Lynn for some real eye CANDY! I'll take one ivory and one silver please! Something to remember when the girls get married! pumpkin, coconut, chocolate? Pearls, lace, sparkly macaroons? Divine is definitely the word. Those are amazing. 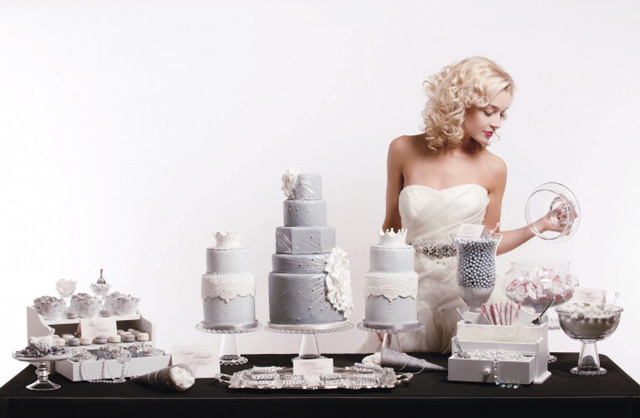 What a beautiful tablescape for a bridal shower or rehersal dinner dessert bar. I LOVE Amy Atlas, her talent is incredible!!! Have a great weekend Lynn!